A former U.S. Marine Corps sergeant was sentenced Friday to 11 years in prison for a drunken-driving crash that killed three of his fellow servicemen in Dana Point, despite a defense claim that he suffers from post-traumatic stress disorder and should be sent to a treatment center. Jared Ray Hale, 28, was convicted Dec. 10 of driving under the influence causing bodily injury and driving with a blood-alcohol level above the legal limit causing bodily injury. Jurors also found true sentence-enhancing allegations of causing great bodily injury. Deputy District Attorney Stephen Cornwell said Hale had a blood-alcohol content of 0.18 — more than twice the legal limit — when the fatal crash happened Feb. 14, 2012. The prosecutor also said Hale agreed to be the designated driver when he went out drinking with his friends. Several of the family members of the victims — in letters to the judge read aloud in court Friday — assailed Hale for not taking responsibility for his crime and for not expressing remorse or apologizing. Hale defended himself, insisting that a previous prosecutor informed him to stop trying to contact the families because they did not want to hear from him. Hale also disputed Cornwell’s argument that the defendant lied in his testimony and shifted the blame for the crash on to one of the victims. Hale said he was “bewildered” when it was shown he had a blood-alcohol level that was twice the legal limit and that he could not dispute the “science” of that fact. “I haven’t lied about what happened,” Hale said. The defendant angrily confronted Cornwell, saying he asked to talk to the victims’ families before the trial and was told they didn’t want to hear from him. Hale said he would gladly trade places with any of the victims, particularly Cpl. Christopher Arzola, who was the father of a newborn son. He agreed with his mother Terrisena Freeman’s statement to the judge that no matter what his family is going through it is better than what has happened to the victims and their loved ones. Flynn-Peister said Hale’s claim that he was unaware that he was drunk was not “plausible,” and agreed with Cornwell that he either showed up at the bar drunk or was sneaking drinks throughout the night. Hale also “took advantage of his position of trust,” as a sergeant and designated driver. “The defendant has not accepted responsibility for his actions,” because he refused to acknowledge his drinking, Flynn-Peister said. Cornwell noted that an expert testified at trial that Hale had to consume up to 14 drinks to reach the alcohol level he had at the time of the crash. Hale’s attorney, William Paparian, said his client was part of an emerging trend among veterans who are “self-medicating” their post-traumatic stress disorder with alcohol. Hale was drinking a fifth of hard liquor a day, the attorney said. Hale served in the Marines for five years until his “general discharge under honorable conditions” in August of 2013, Paparian said. He served in Afghanistan from September 2010 to March 2011 in a unit that suffered heavy casualties. Hale and his three friends, all of them stationed at Camp Pendleton in San Diego County, went to Hennessey’s Tavern in Dana Point the night of Feb. 13, 2012, according to Cornwell. About 1:50 a.m. Feb. 14, Hale and his friends left the bar and got into a Dodge Stratus, with Hale driving, the prosecutor said. Hale was driving north on Golden Lantern Street in Dana Point when he lost control of the car about 2 a.m. at a curve in the road at Terra Vista, Cornwell said. The sedan slammed into a tree. Sgt. Jeremiah Callahan, 23, of Chadron, Neb., and Arzola, 21, of Westfield, Mass., were pronounced dead at the scene. Cpl. Jason Chleborad, 22, of Rapid City, S.D., was pronounced dead about an hour after arriving at Mission Hospital. 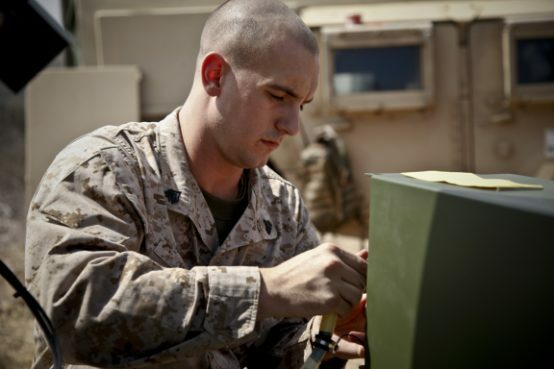 All three were data network specialists who enlisted in the Marine Corps in 2008. Hale was treated for brain trauma and a broken arm.